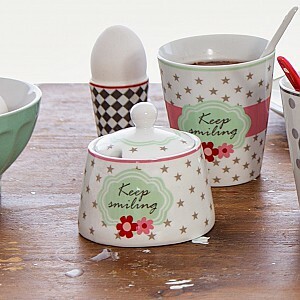 Here you can find Happy Sugar Bowls from Krasilnikoff! Sugar bowls in porcelain. The Happy-serie are available in many different parts with lovely colors and patterns. Mix and match as you like!